Ever since I was a little girl I have been enamored by the ocean and the creatures that live there. How my beloved Free Willy video cassette didn’t become destroyed from being played on repeat is a mystery. These creatures are highly intelligent, powerful and beautiful. 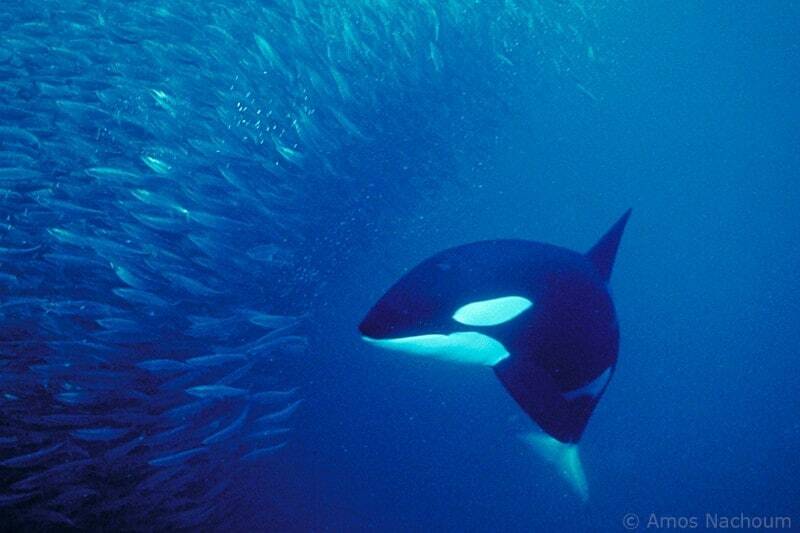 Despite popular belief, orcas are not aggressive killing machines. The name killer whale is a result of a mistranslation from when an Englishman translated the manuscripts from the galleons of the 14th and 15th centuries. When the Spanish and Portuguese sailors were crossing the Atlantic they had witnessed orcas preying on whales and they called the creature “ballena asesina” which literally translates to killer whale. This name insinuates they are aggressive creatures, that kill anything in its path. This is far from the truth. In fact, there has never been a reported incident with an orca and a human in the wild. There are 9 species of hammerhead sharks in the sea and the great hammerhead is the largest, growing up to 6 meters (20 feet). 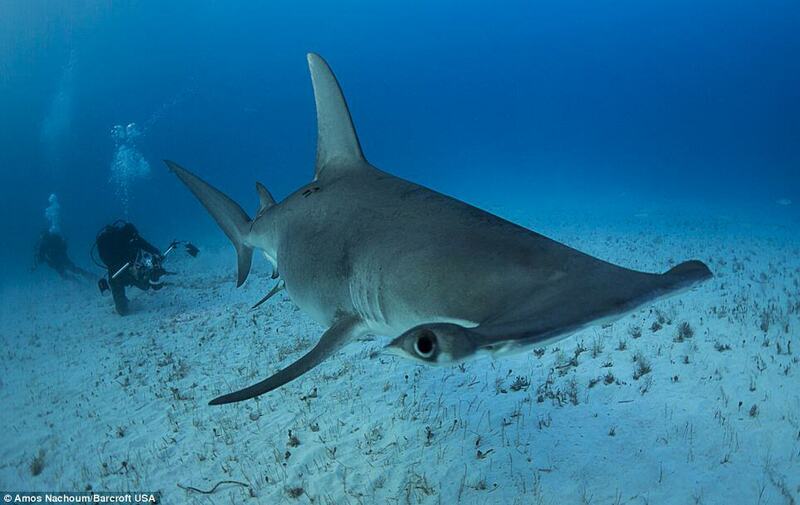 While we have seen schools of scalloped hammerheads we have never seen a great hammerhead. 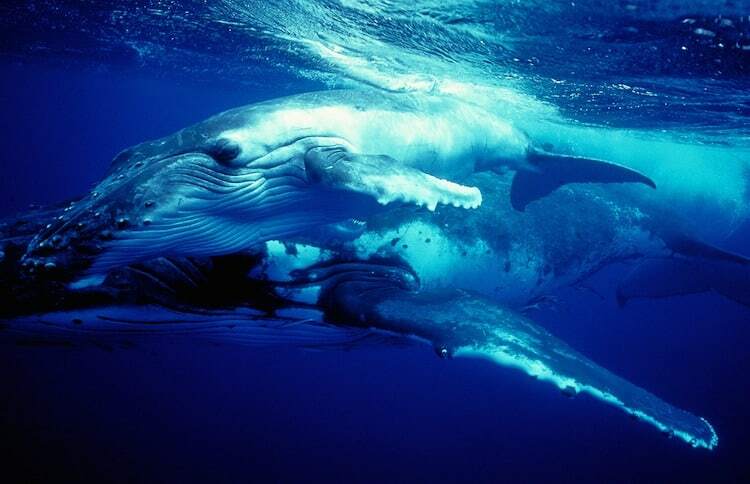 Blue whales are the largest creatures to ever inhabit the earth. 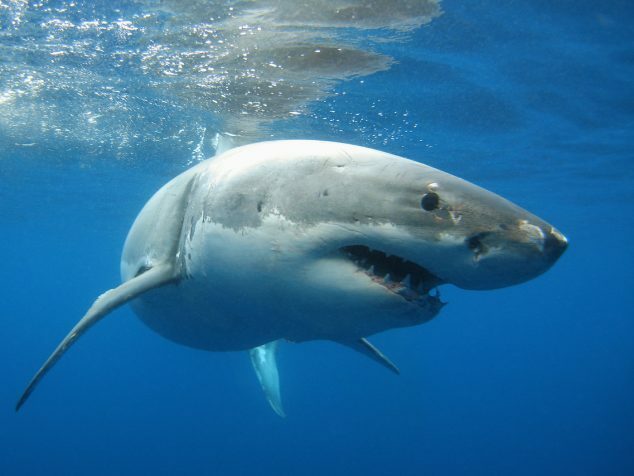 They can reach up to 100ft (30 m) and weigh between 120-180 tons. Their heart his the size of a Volkswagen beetle. The blowhole of the whale shoots water up to 30ft (10m). The gracefulness and beauty of this creature are equal to its size. We’ve been fortunate to see humpbacks jumping and passing by the boat while we on our way to Coiba Island but we’ve never seen them while diving. 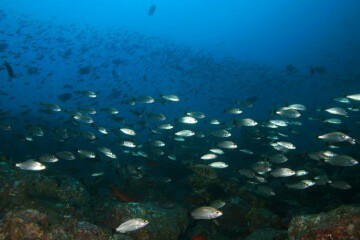 While diving in Coiba we could hear them singing, which isn’t as graceful as you might imagine but keeps your eyes staring into the blue with fingers crossed that one might make an appearance. 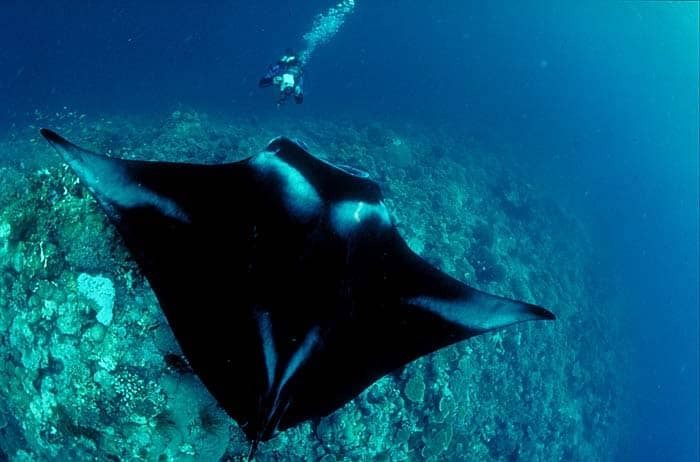 In 2011 Antonio and I traveled to the Big Island of Hawaii where went a for night dive/ snorkel to see giant manta rays. 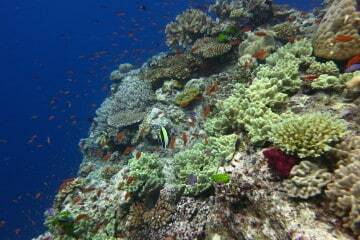 At the time I wasn’t a diver so I had to snorkel. 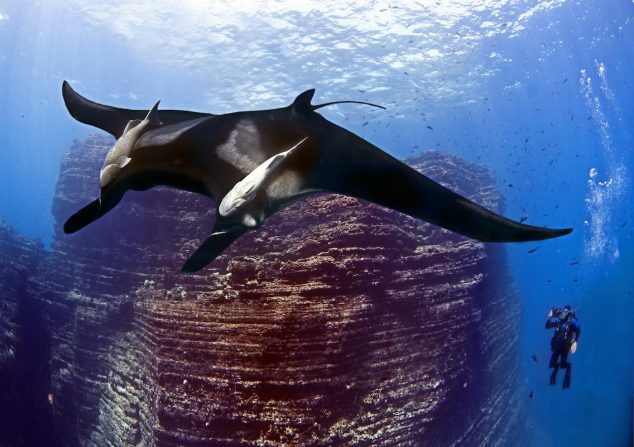 While the experience was incredible I still can’t wait to see these impressive creatures while I am diving. 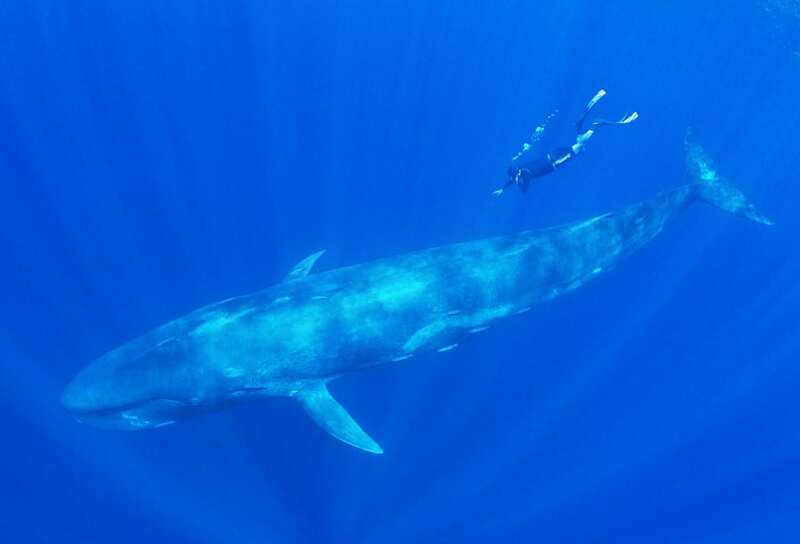 Sperm whales are easily distinguished by their massive head which holds large quantities of a substance called spermaceti. Whalers once thought that the oily fluid was sperm, but scientists still do not understand the function of spermaceti. 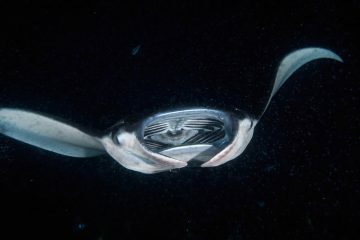 One common theory is that the fluid helps the whale alter its buoyancy so it can dive deep and come to the surface again. 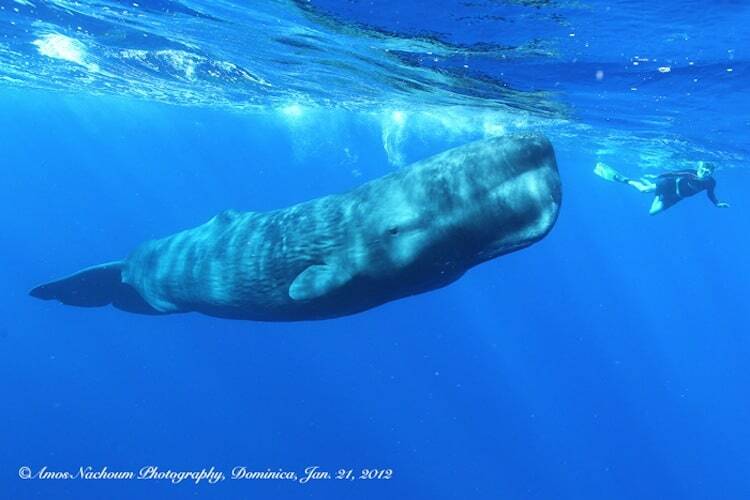 Sperm whales are known to dive as deep as 1,000 meters (3,280 feet) in search of squid to eat. To accomplish these deep dives they must hold their breath for up to 90 minutes. 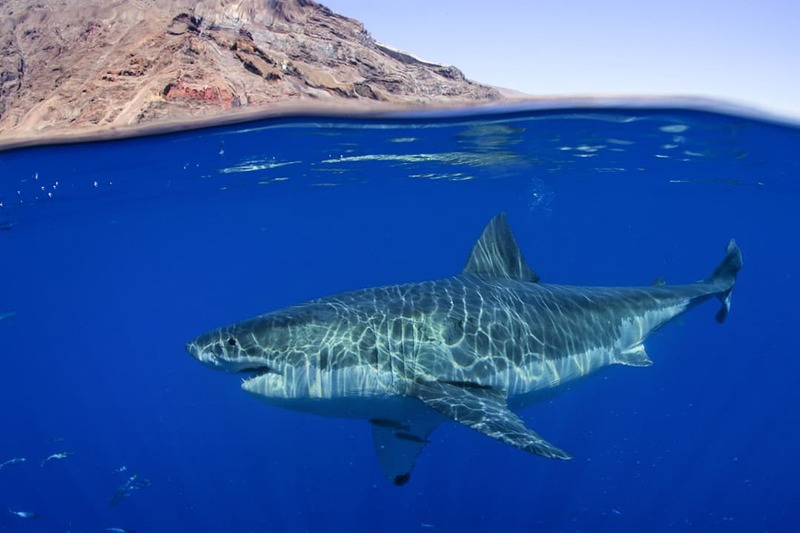 Great Whites are notorious for being one of the top predators of not only the sea but the world. They are misunderstood and mysterious, making an encounter with one all the more appealing. Despite their bad reputation, they are not man eaters. When I tell people that diving with hammerhead sharks has been one of the greatest experiences of my life, many ask, “but aren’t you afraid they will attack you?” Below is a presentation that Amos Nachoum gave a TED conference called There are No Demons in the Sea. 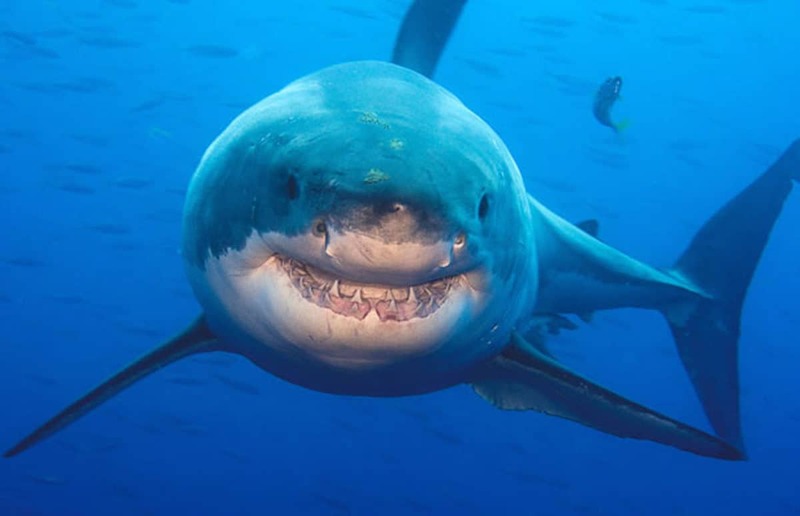 Here he tells about his first experience with a great white shark and explains why there is no reason to fear sharks or any ocean creature. Big thanks to Amos of Big Animals Expeditions for the use his photography.